Just a small company announcement. I have been named to the committee /board of the PEI Young Execs. This means I get to have some say in where our group goes for meetings, educational topics, and speakers. Not a real big deal, but I am excited. I have been a member of the group for 5 or 6 years now. If you are a member of the PEI organization and fall within the ages of 18 and 40 something, I highly recommend the group. It is an excellent way to meet people in the industry and pick up business practice ideas from your peers. A salesman called me the other day offering assistance in getting our manufacturing outsourced to China. “It’s the wave of the future, if you don’t get on the boat you will be left behind and your business will fail.” This was his quote. Everyone from other manufacturers, to magazine articles, and even motivational speakers at conventions have told me this. Get on the boat, or fail. The only way we can remain competitive is to not only get our components from China, but to get our entire product line manufactured in China. Krueger Sentry Gauge has taken a hard stand on this topic. Our plant is in Green Bay Wisonsin and we manufacture our product right here at home. Any component that we can produce ourselves at competitive prices is done so right here in our facilities. All components for our products that we can’t produce ourselves we have produced by other United States Manufacturer’s. I see no reason to change this. We get quality parts at fair prices from our US manufacturers. 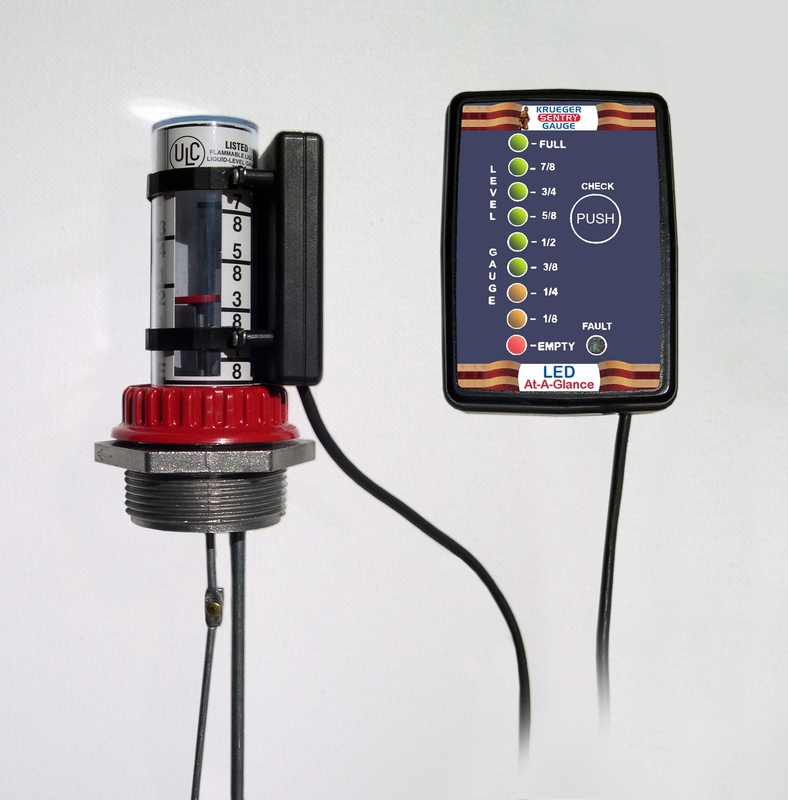 In other words, our liquid level gauges and all of the components on our gauges are Made in the USA and will continue to be made in the USA. We have been in business for over 65 years, we have sold over 3 million gauges, our business continues to grow, and our business has stayed strong and competive despite not getting on the so called “boat”. I am not a golden aged 75 year old man with a grudge. I am not taking a stand and trying to do what I think is best for this country. I am a 33 year old future business leader doing what I believe is best for this company and its products. One of the most common questions I am asked is, “Why can’t I get a better price by going direct to the Manufacturer?” There are several reasons. Krueger uses distributors as it’s primary sales force. We are small 15 person company that manufactures a quality product with a low price point. There is no room in the pricing structure for us to send out traveling salesmen all over the country/world to sell our product. We rely on distributors to show our products at their tradeshows, in their catalogs, on their shelves, and on their websites. We also rely on distributors to service and install our product. In recognition of this need for our distribution, we do all we can to protect our distributors. Our list prices are set high enough that our distributors can always save the end user money. We do our best to funnel as many sales to our distribution as possible. Our online store has a link to our Distributor page on every single page leading up to the purchase, and a statement letting people know they can save money by going that route. Our sales people also refer phone calls to distribution as well. We offer wholesale distribution a “no minimum” policy and free drop shipments so they can fill custom orders without increasing price or lead times. Some direct sales are necessary in order to keep customers. If it is to difficult and complicated to by from your company, they will go elsewhere. Also, the web store greatly enhances our presence on the internet, and there is one web statistic that stands out in favor of our distributors. The web stats keeps track of how many times people “abandon” their shopping carts. Over half of the abandoned carts are linking to our distributor search page, and our distributor search page is the most visited page on our website. Krueger Sentry Gauge is releasing a new product. It is called the “LED At-A-Glance”. In its base form, this unit will be able to remote monitor your AST’s for a very affordable price using your existing or new Krueger Gauges. While the current release is a hard wired remote display, the future possibilities with this product seem endless…. outputs/signals, dry contacts, wireless, hi and low level alarms. We will have our new product on display at the NACS Show at the Chicago McCormick Center. Dates October 5th – 7th 2008. It will be in full production by January 1st 2009. Stay tuned for pictures and updates on it’s full capabilities. Hello! I am Amy Filipiak, the Administrative Assistant. I help with Sales, Marketing, and Accounts Receivables and Payables and love it! I have been working at KSG since January of 2004. I am a full time student at University of Wisconsin – Green Bay. I plan to graduate in December of 2010 with a Bachelor of Business Administrative Degree in Accounting and Business Administration emphasis on Management. It has been a slow process getting through school but I will finish eventually. I can’t wait until I am done so I don’t have to worry about working and going to school at the same time! I am 21 years old and engaged to be married in October of 2009 to my highschool sweetheart. I can’t wait! I love the outdoors, fishing, hunting, 4-wheeling, camping, anything….you name it, I like it. I lived in Suamico for 20 years with my mom, dad, brother and sister. In January I moved to Pulaski with my fiance. I absolutely love living on my own. My mom works here at KSG also so I still get to see her everyday and I still get picked on because I can’t ask her whats for dinner anymore! 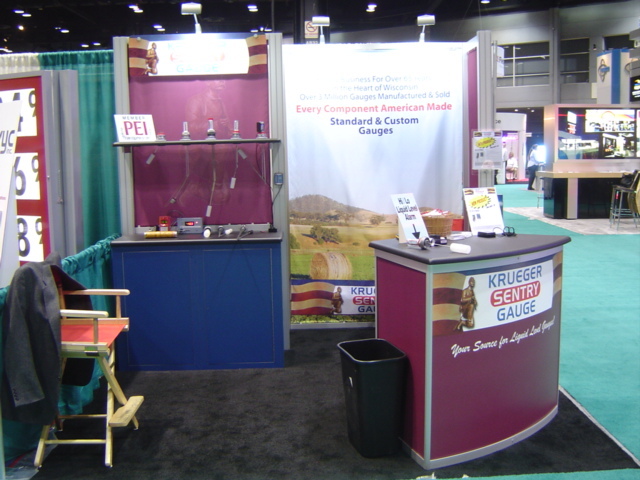 Krueger Sentry Gauge is a small family business which is evident and obvious in so many ways. My name is Lee Geurts, and I am the youngest family member in the company. I work with my aunt, my uncle, my mother, my father, and it does not end there. Every liquid level gauge manufacturing plant and machine shop needs to have a mascott, and we have four of them. First I would like to introduce you to Abby and Pearl. They are our alarm system. Two Toy Fox Terriers that warn us of intruders and customers alike. They belong to my Aunt Kathy. They are sisters, Abby is the porky one and Pearl is little miss petite. And just a forewarning, don’t throw the ball. Next I would like to introduce you to the Security Guards. The first is the old veteran, Jasper. He is an eight year old boxer that is starting to go a little grey in the face, but he still takes his job as head of security and company mascott seriously. Last but not least, I would like to present Cheyenne. She reminds me of Animal from the Muppets. Jasper is trying to teach her some manners, but she is a slow learner.